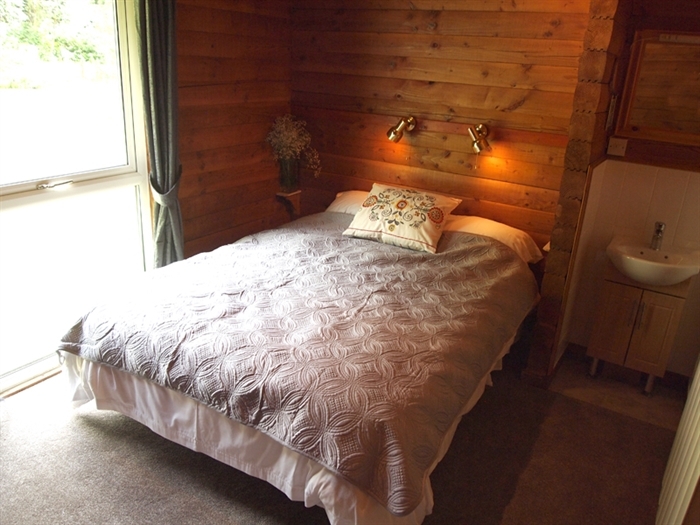 Recently refurbished, the lodge is cosy, well-equipped & comfortably furnished. 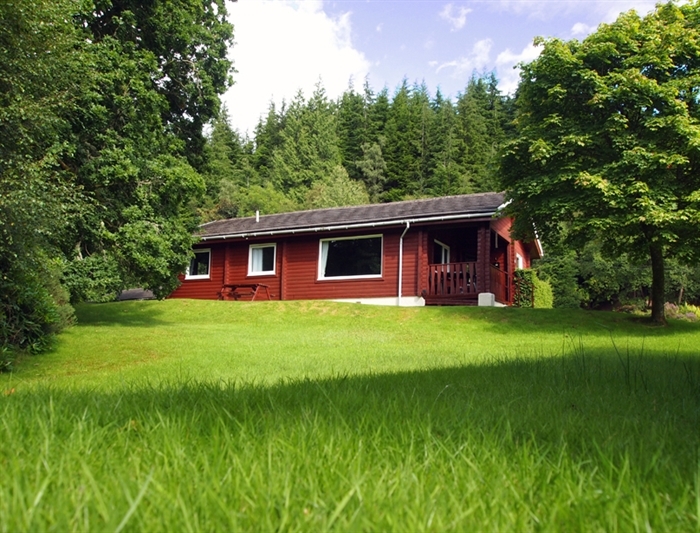 Perfect for friends, families & couples looking for a relaxing escape to the country surrounded by ancient woodland, epic mountains & scenic lochs. 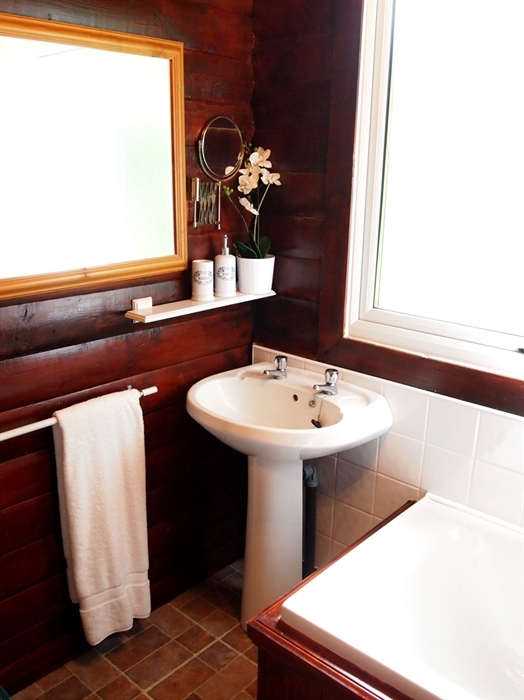 This traditional log cabin is the perfect home-from-home for people keen to explore the area’s many natural, cultural and historic sites, as well as couples, families and friends looking for relaxing quality time. 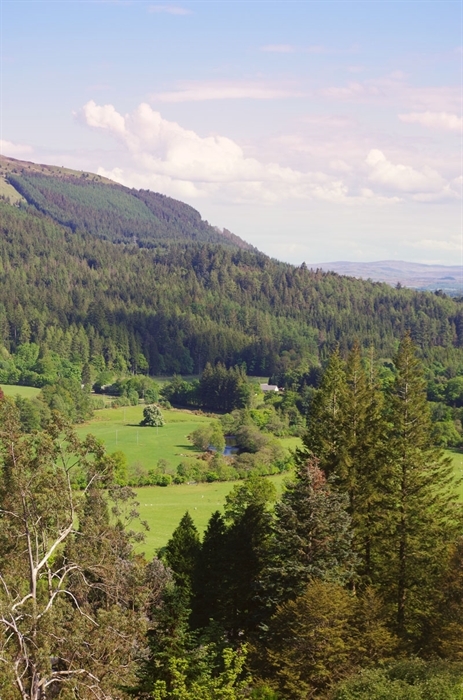 The famous Puck’s Glen walking trails begin behind the lodges and Benmore Botanical Gardens are a short walk away along a scenic track. The lodge is one of 18 that form the quiet, privately-owned Lamont Lodges which see many visitors returning year after year. 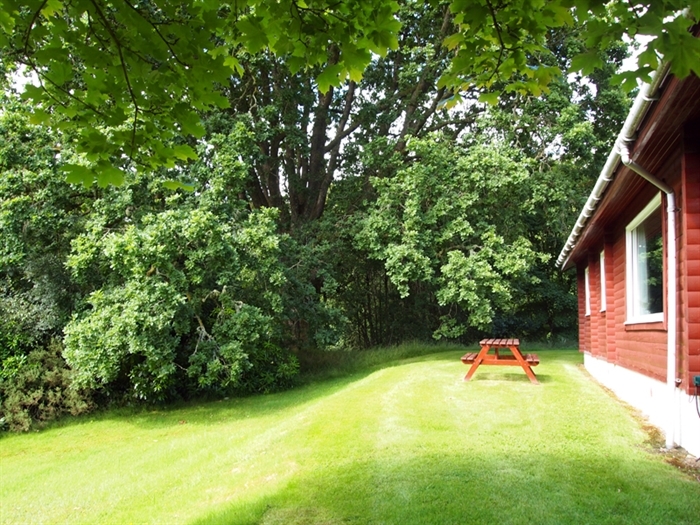 Ruskin Lodge can accommodate up to six people in 3 bedrooms, one of which can be converted into a study or writer’s room. Guests are provided with the use of hotel-quality luxury towels and bed linen at no extra cost. 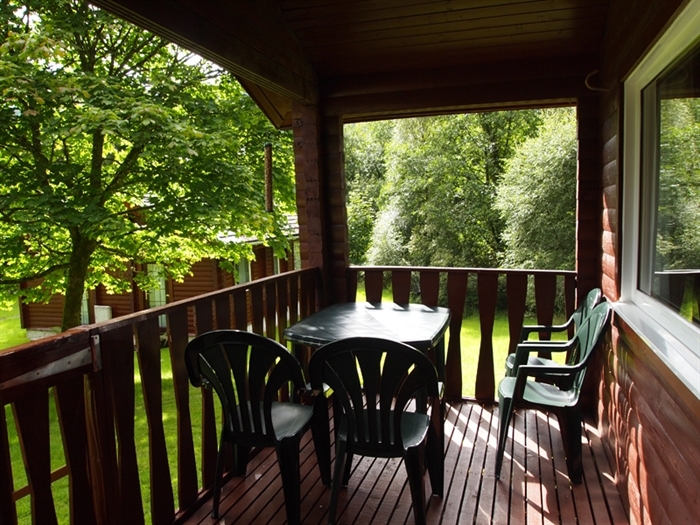 You can relax on a large, private, covered veranda and take in the surrounding forests and mountains. 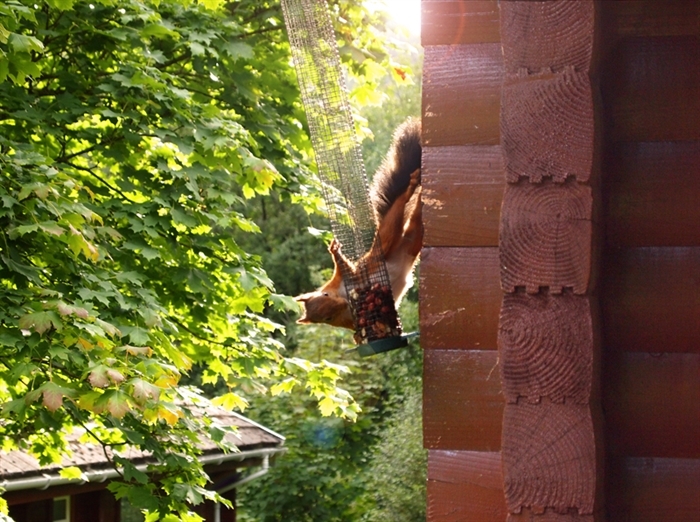 We regularly see red squirrels, many types of birds and occasionally deer. A high-quality kitchen has recently been installed. It features an induction hob, steam oven, dishwasher, extractor fan, microwave, full sized fridge/freezer, kettle, toaster and coffee maker. We include plenty of mugs, coffee cups, plates (flat, side & pasta), bowls, cutlery, pots & pans, roasting dishes, glasses, cooking utensils and serving dishes. Olive oil, cooking oil, vinegar, salt, pepper and a starter pack of tea, coffee and sugar will be supplied. 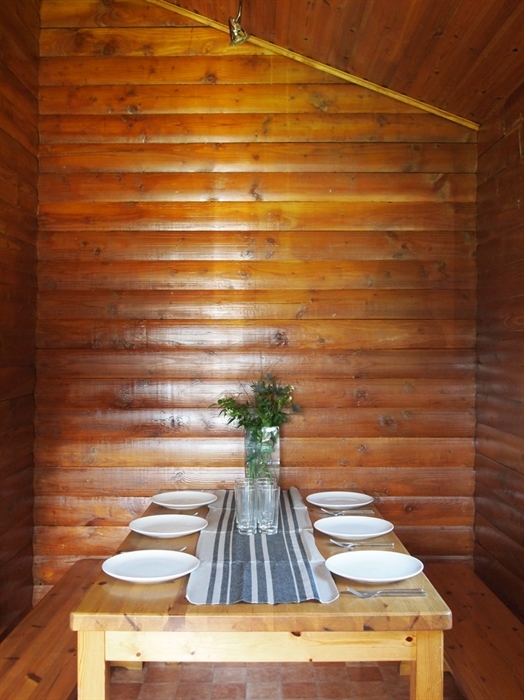 Alcove dining area for 6 people. Spacious and light lounge with 42” TV / DVD player (HDMI cable supplied), Amazon Firestick, hi-fi with iPod dock, books, quality film collection & board games. New Italian leather sofas have been added recently. King sized bed, wash hand basin, wardrobe and chest of drawers. King sized bed, wardrobe and chest of drawers. 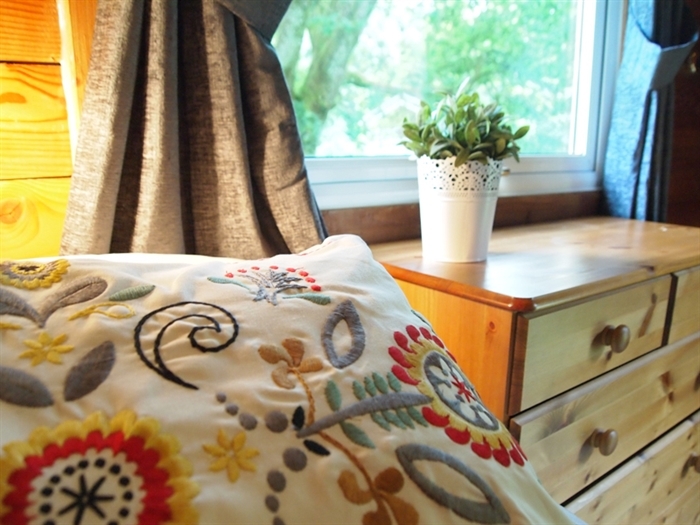 Two full sized single beds suitable for adults or children, wardrobe and chest of drawers. This room can also be converted into a double or a writer’s room / study. Electric shower with grab rail, bath, wash hand basin. Luxury hand towels, bath towels & face cloths are supplied. Covered and gated veranda with views of the surrounding forest and mountains. Table and chairs, picnic table, parking spaces for 2 cars. Mothercare travel cot and mattress (bring your own bedding), 2 x high chairs, changing mat (and dedicated nappy changing area off the bathroom), baby bath, blackout blinds, children's cups, plates, bowls and utensils. The famous Puck's Glen walking trails begin behind the lodges and Benmore Botanical Gardens are a short walk away along a scenic track. 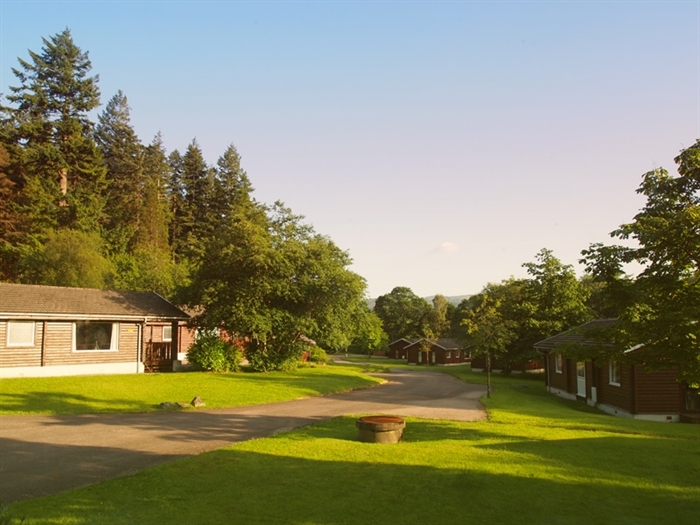 The lodge is one of a small group that form the quiet, privately-owned Lamont Lodges which see many visitors returning year after year. Tourists 'in-the-know' stay in Cowal. It is a haven for wildlife with red squirrels, otters and rare bird species inhabiting some of Scotland's most unspoilt and dramatic landscapes. Within a small area you can explore sandy beaches, rugged hills, lush ancient forests and impressive mountain ranges. There are also an excellent range of outdoor activities, including golf, fishing, horse-riding, mountain-biking and stalking, and visitors can enjoy many cultural events including the Cowal Highland Games, the largest in the world, in August each year. There are some excellent restaurants, cafes and inns in the area as well as traditional shops, tourist facilities and indoor activities in the nearby town of Dunoon. We look forward to welcoming you to Ruskin Lodge! 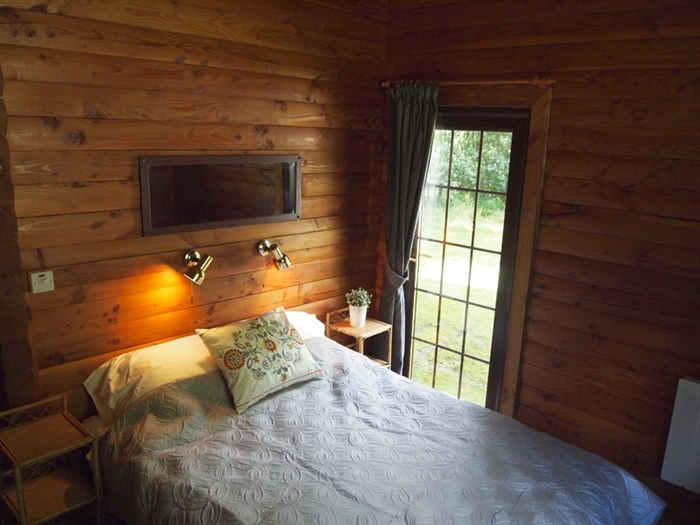 Ruskin Lodge traditional log cabin Ruskin Lodge traditional log cabin Master bedroom The living room has two picture frame windows, new Italian leather sofas and lots of space to relax. 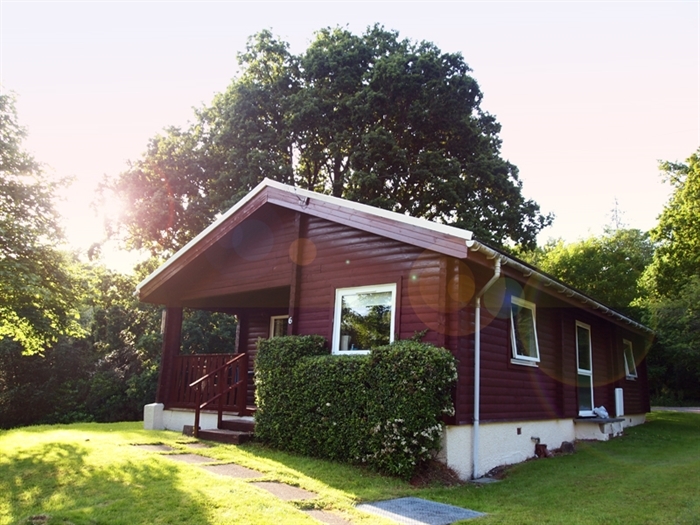 The living room Veranda Kitchen Alcove dining area Double bedroom Bathroom Picnic area beside the lodge Bedroom View from the kitchen Plenty of room to play View towards the lodge from Benmore Botanic Gardens Red squirrels are regular visitors to the veranda!